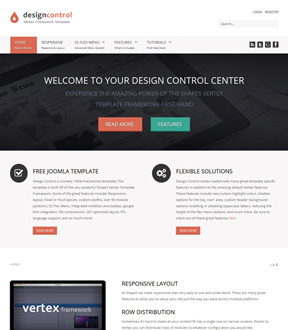 Design Control is a simplistic theme that will adapt to a wide variety of websites, and best of all it's totally free to use! 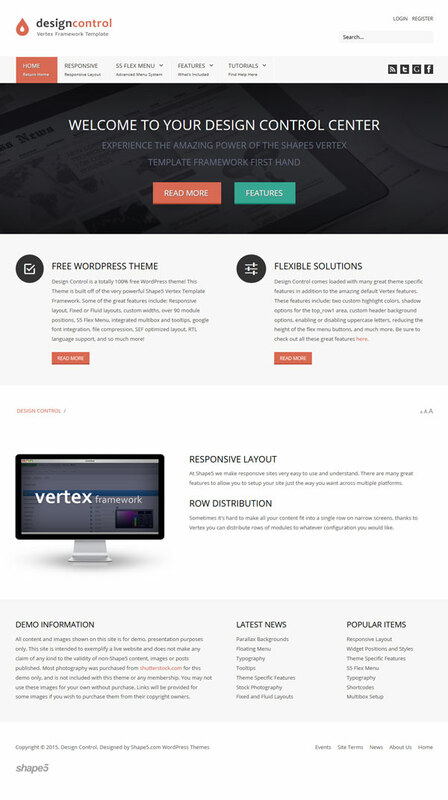 Most free themes from other providers lack visual aesthetics and great features, but not with Design Control! This theme comes packed with all the great features of the Shape5 Vertex Framework that you've come to love with our paid theme! This theme is totally responsive, and comes with features such as highlight colors, custom parallax backgrounds, google fonts integration, custom column and row widths, and so much more! Be sure to check out the demo to see this and all of the other great features in action!